Here are some examples of Samantha's work! 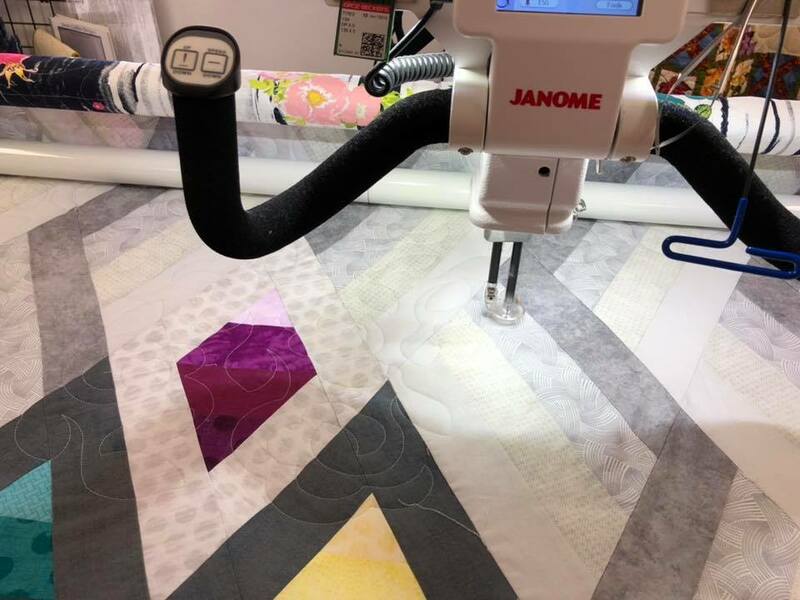 Longarm Services - Paw Patch offers top professional quilting at a reasonable price. There are two price schedules for long arm services. 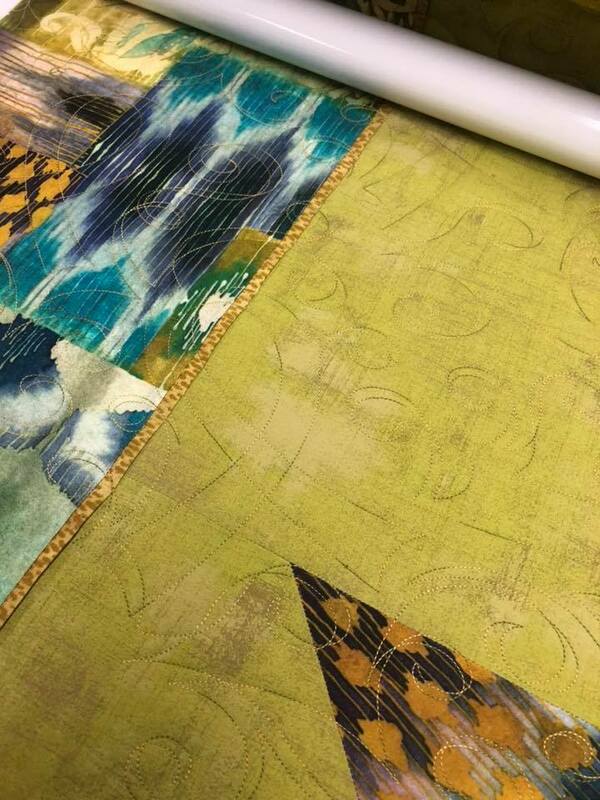 The first being Edge to Edge pantographs and the second is custom quilting. 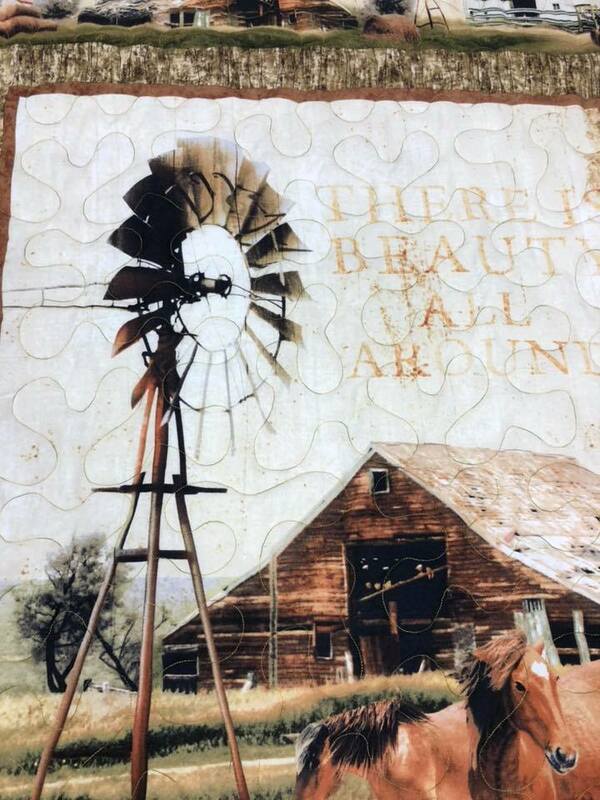 Custom Quilting - Custom is just that, anything that is not pantographs. 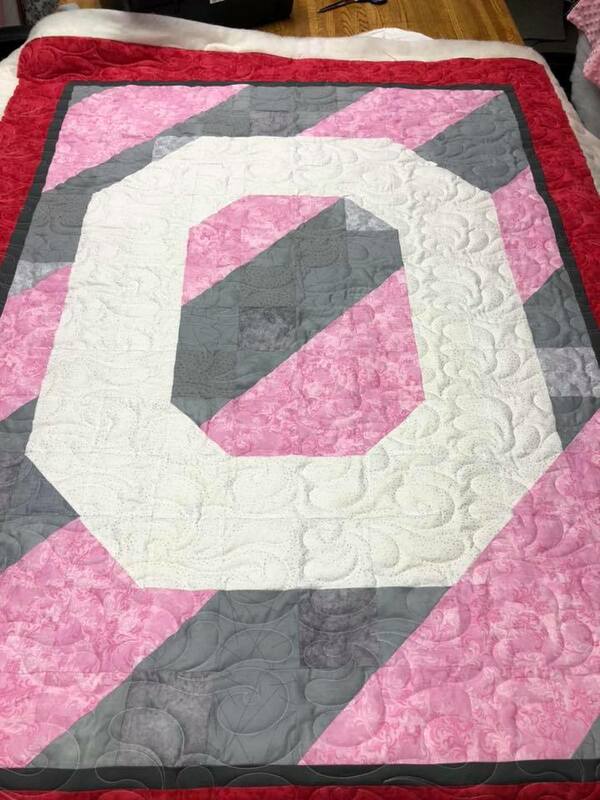 This requires more planning time with your quilt to achieve that individual look you have been dreaming up. 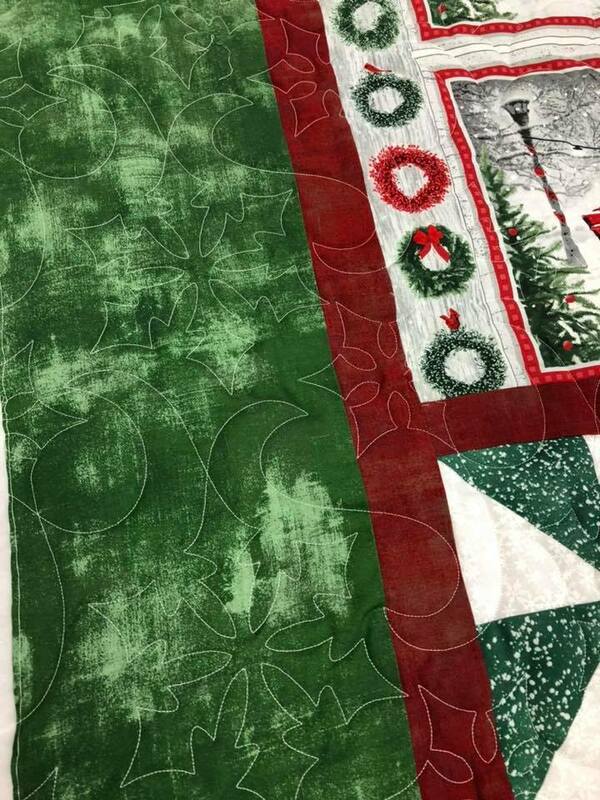 Custom Quilting starts at $0.07 per square inch. 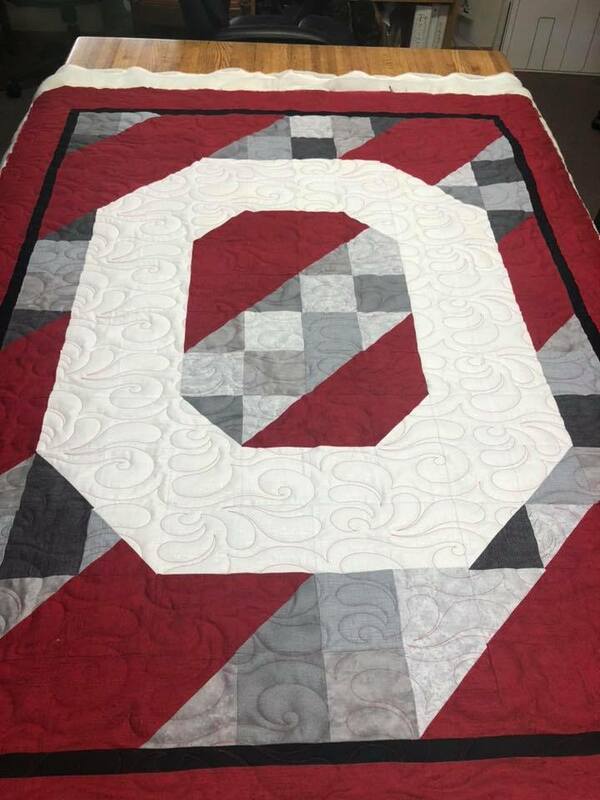 Backing: Please bring your quilt backing pieced together and ironed. 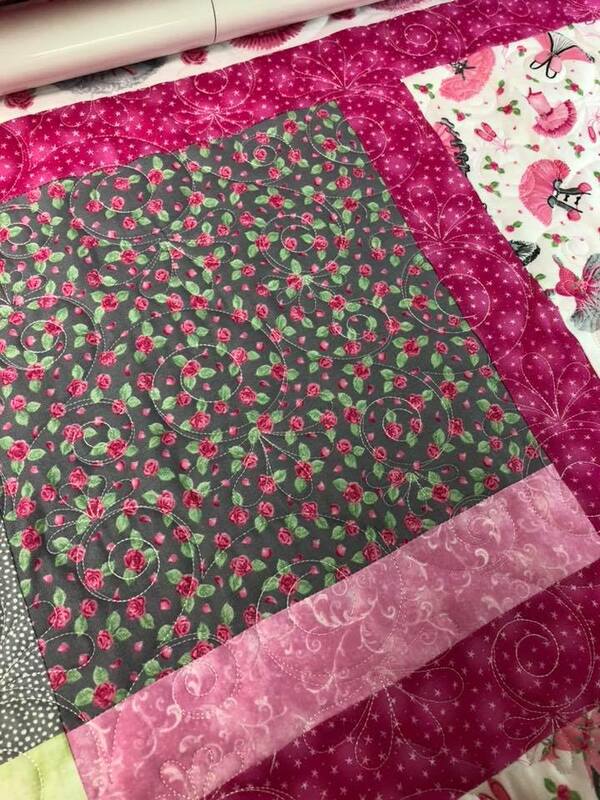 If you do not have a back come in and choose a backing for your beautiful quilt. 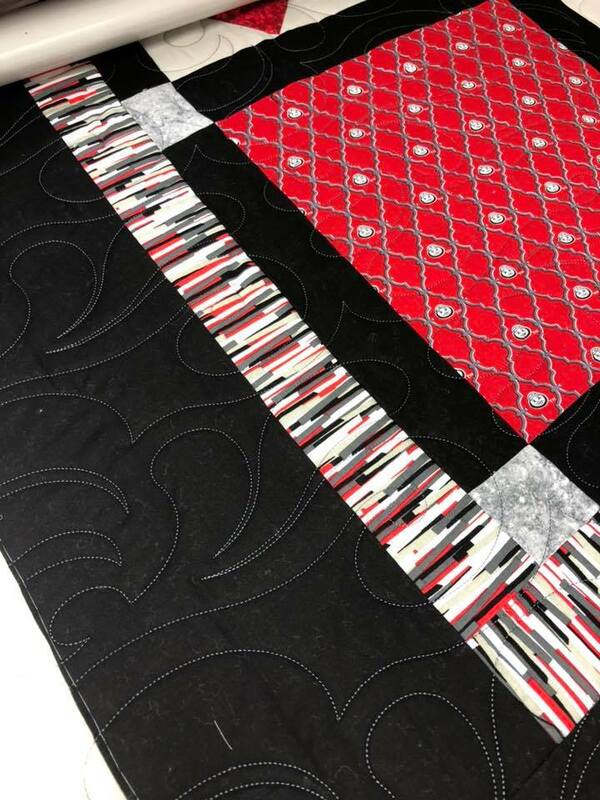 If you just want to leave the quilt and chosen backing we can piece it together for you. 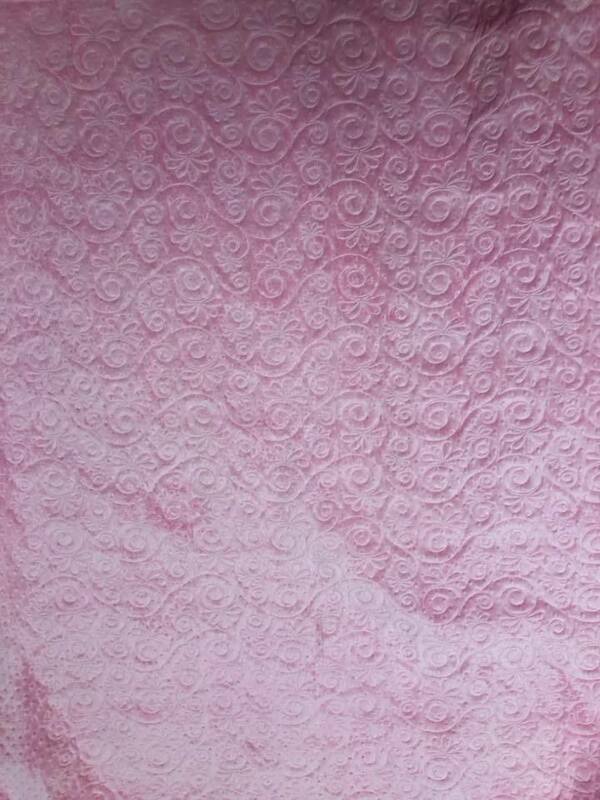 Batting: We suggest to us a good durable batting that will supply your quilt with enough support. 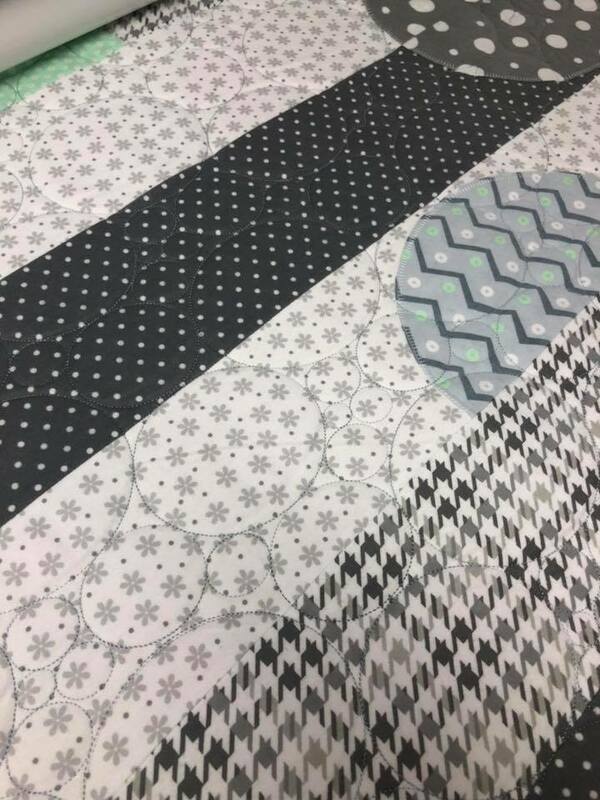 We sell Quilter's Dream Batting and if you purchase your batting for your quilt from us you will receive 10% off that purchase.